SC&K Operations to Resume this Weekend. Gone in body, but still strong in spirit and free as a bird. See you back on the water at the weekend. You won't remember us, but my wife and I stopped by a few years ago while we were vacationing in the area. I wanted to see your Greenland paddles, but you were out at the time so instead I got a hat and a VIP tour of your place. Joey greeted us on the front porch and helped show us around. 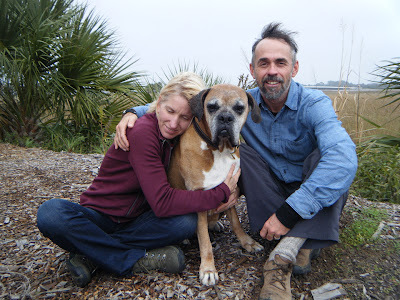 Since then, whenever we think of Savannah we think of SC&K and big Joey. He was awesome, and we're terribly sorry for your loss. Sorry for your loss of big Joey, not a cool thing, but I'm still grinning thinking about him nearly taking my hand off when I tried to pat him while he was protecting your jeep from those such as I- my vibe must have been weirder than I thought. We're all so sorry to hear of Joey's passing. We will miss seeing him and are sad with you. Karina and I were only at your house for only a short time, but we talked about Joey on many an occasion. I remember asking Karina on the plane ride back to NZ if we should get a dog, of course this is only after we met joey! It just so happens, that because of our meeting with your cool dog, that we have actually ended up with a cat! Still, it saves one animal from the SPCA. (thanks Joey!). He was such a cool dog...scared the hell out of me at first!! I remember the first time I met Joey when dogs could sorta run free on the back river beach. He and my golden lab Danny would run and play in the water. 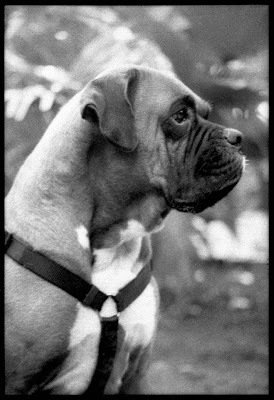 This was a great dog and my thoughts are with you on this sad day. Joey RIP………………………………so sorry…………he was lucky to have been with you guys…………embrace the pain, and check out “on joy and sorrow” Kahlil Gibran’s “The Prophet”. 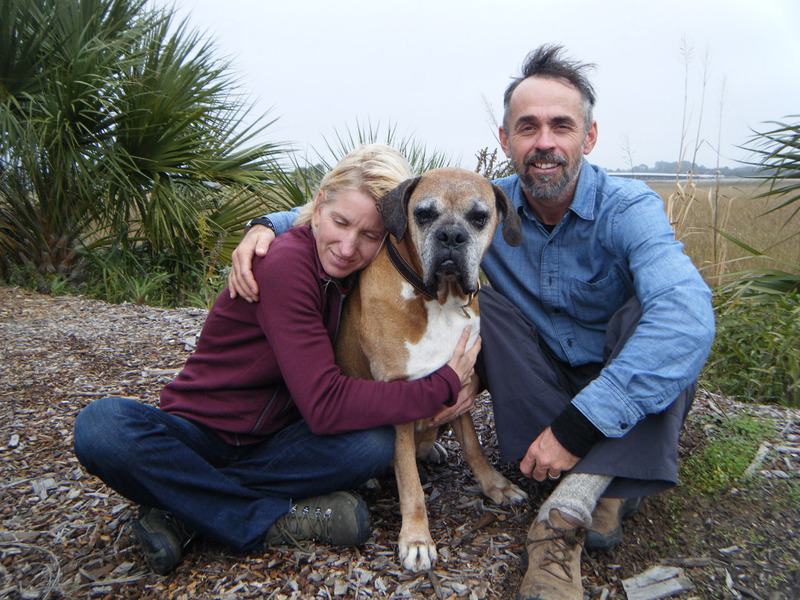 We are so sorry to hear that Joey has passed but are sure that he's in a much better place and just as spunky as ever. I feel truly blessed that I to got come by today and say goodbye to such an important and irreplaceable part of your family. Rick and Cable wish they could have been there too. So sorry about Joey. What a great guy. He will be missed. Thank You all for your phone calls and emails. They are heartwarming, touching and humorous... so very Joey. Christmas 2009-Joey still giving his famous 'hard stare' at 90. Joey taught us many things in our ten years together. He was strong and kind, proud and patient, unselfish and mellow. He had a big presence that reached out to many people, far and wide. All who met him loved him, and he loved nature and the outdoors. He never killed anything, save for the odd fiddler crab that got 'stomped'. He rarely got angry and never drew blood. He particularly loved windy days, when his ears would hover at the side of his big ol' head. Everybody in the neighbourhood knew him from walking down to the dairy pasture each morning and evening. To the brothers on the street he was 'The Champ'. We embrace Joey's energy that now blows on the wind through the universe. For all your love and support at this time, we Thank You. Out on tour yesterday we came across these two fine chaps. 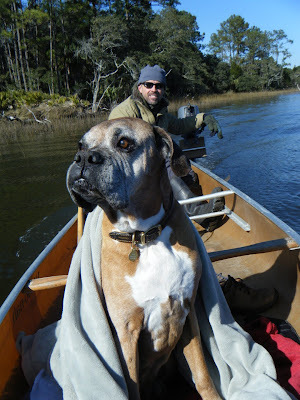 Jake Stachovak is paddling 'around the block' and for part of his GA coast leg he has been joined by local paddler Mark Gibbs. Jake told us a little about his 5000 mile amble, with no particular schedule except to be home in time for his mums birthday in October. How sweet. Jake's mum lives in Portage WI, which is where he began and will finish his trip. 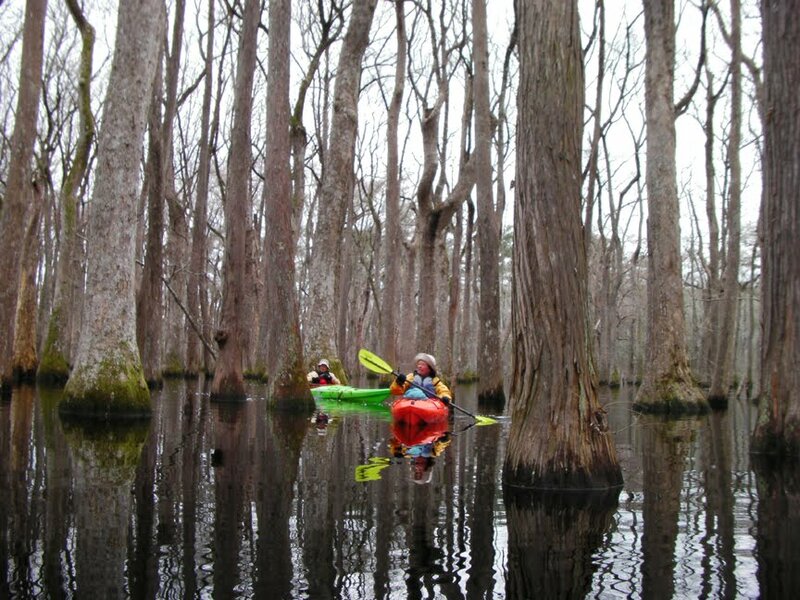 The “Portage to Portage Paddling Project” is a 5000 mile solo kayak journey around the Eastern United States. An adventure that will link the Mississippi River to the Great Lakes via the Gulf Coast, East Coast, and New York Canal Systems starting and ending in the small town of Portage Wisconsin. 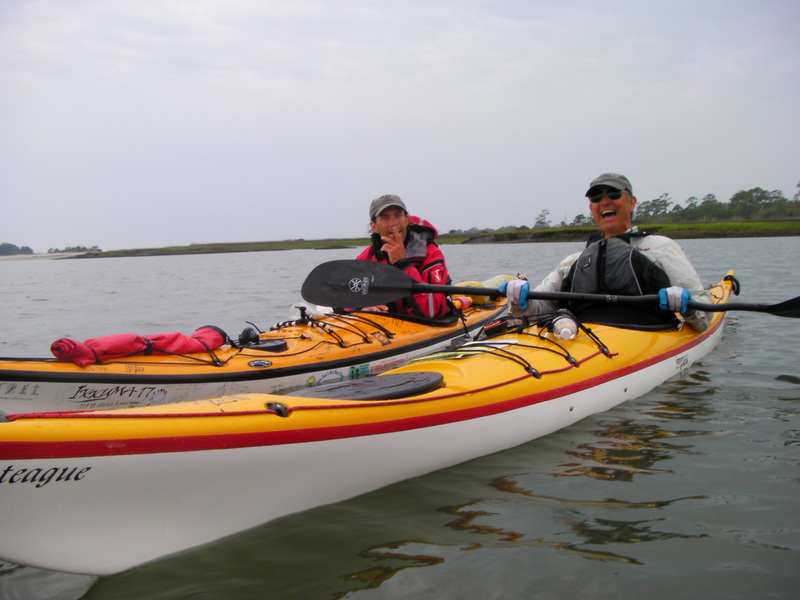 Mark Gibbs, from Macon, hooked up with Jake via his blog and decided to join him for a the few days paddle from St Catherines to Tybee. And all the best to Jake...a fine way to amble. 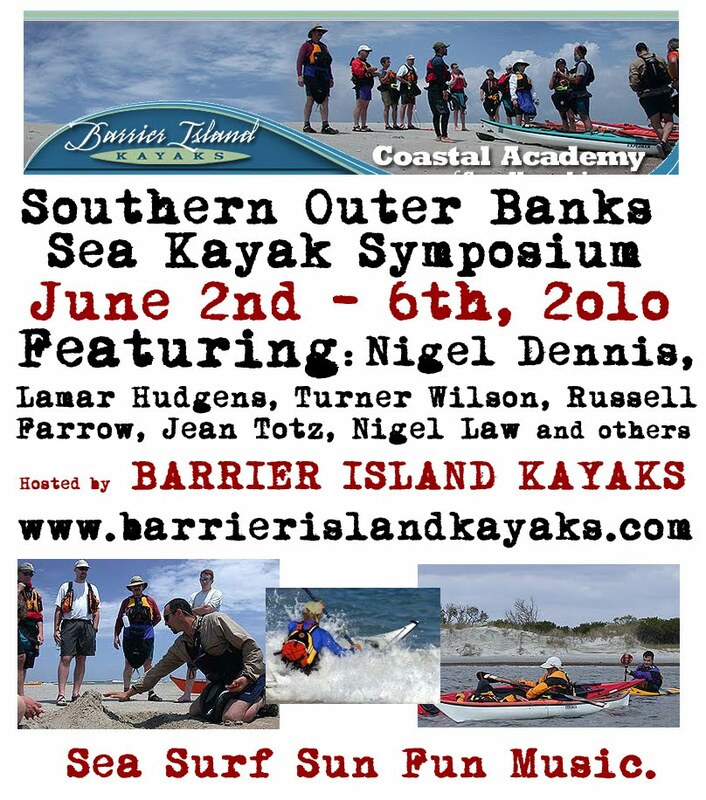 For a fun, relaxed and intimate paddling event why not come on up to the southern outer banks. Great home cooking and hospitality are always on offer at Lamar's place. 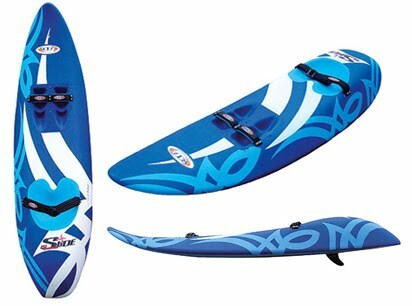 Last week we received a phone tip off that Anna's Wave Ski was at 'Play It Again Sports'. We relayed this information straight to Anna who immediately went there. Unfortunately the ski had been sold several days before. had been bringing them things for a couple of years." The owners refuse to give me the name of the person who bought it. As of Monday no arrest have been made as the police have been too busy. So, if you see a blue wave ski at the beach with a 250lbs guy in his 30's swimming a lot then call Anna or call the police, who hopefully will not be too busy to reclaim the stolen property. Stay tuned for more updtaes on this story. East Coast Canoe and Kayak Festival came and went with the speed of a Ben Lawry 'paddle by' this last weekend. Glad to say that all the usual friendly faces were there, including a few new ones. Vendor attendance was at an all time high this year, as was pre registration for on-water classes. It was great to see a lot of our customers from all over the South East..Ted and some of the Atlanta Chapter, as well as over 15 of Tom's Augusta Chapter were swelling the booths and classes. All the British boats were well represented at the show, as they continue to set the standard in the sea kayaking industry. 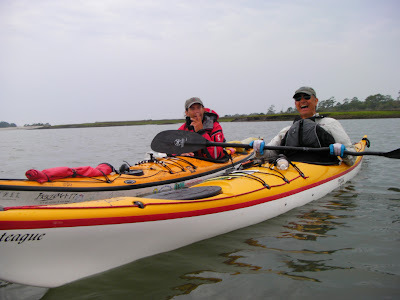 Since the introduction of the Cetus, P&H are regaining some of their former glory and popularity...and now they have the LV Cetus, they really do have a kayak for the smaller, lighter paddler. P&H flew down their recently acquired heavy hitter, Brian Day, who got to experience the SE show for the first time and scored a couple of goals for his new team. 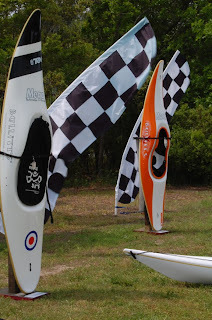 The ever popular NDK boats and the classic Valley Sea Kayaks were also well represented. No Valley Surf kayaks though, as they continue to seem a little unsure what to do with this excellent line. We were glad to complete the Brit line up with the ever stylish Tiderace Kayaks and the very sporty Mega Surf Kayaks. Both of these lines are very high performers and it was great to be able to 'show and tell' about boats that have been seen and tried by so few people. Our booth looked pretty 'racey'. Our next door neighbours at the show were Dragonfly Boatworks. They make very high quality fishing boats and had on display there new fishing kayaks. More of a bateau than a kayak, the Fly Fisher Kayak brings back the joy of 'stand up' fishing. 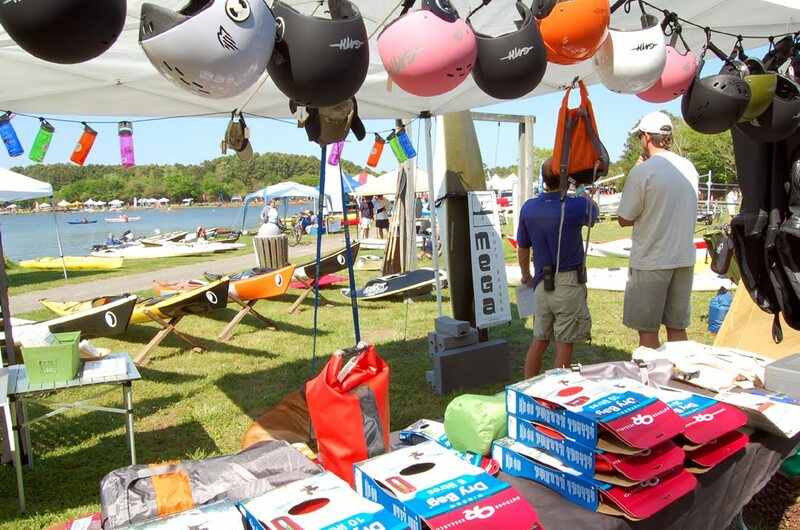 Stand Up Paddle boards continue to swamp the market place, but overall there seemed fewer than last year. SUP classes on the pond looked fun. The overall organisation of the event was excellent as ever, and the food was outstanding. Park staff were very helpful. Thanks to everyone who stopped by or helped out. We had a rocking good time. We ran the waters of Ebenezer Creek for the last time this weekend. Since mid February we have run 4 trips down this enchanting little stretch of water. You never know what you are going to run into, but it's always magnificent scenery. Since that first trip, seen in the top picture, the water has dropped nearly 6 ft...good for fishing. 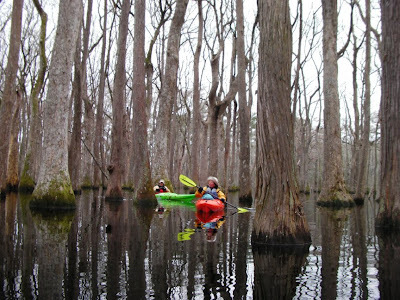 We were barley able to paddle through the Tupelo forest, but with their giant buttresses exposed, it was even more incredible. At the take out there was a veritable Effingham county beach scene going on, with red belly busters on jet skis and country gals on horseback, ringing in the fast approaching summer. 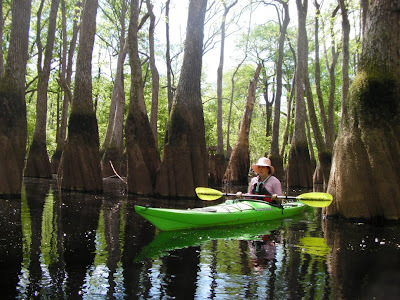 With the onset of rapidly rising water and air temps the creek will soon be clogged with Duckweed and Pennywort, a variety of bugs and some frisky alligators.... maybe we'll take one more trip. 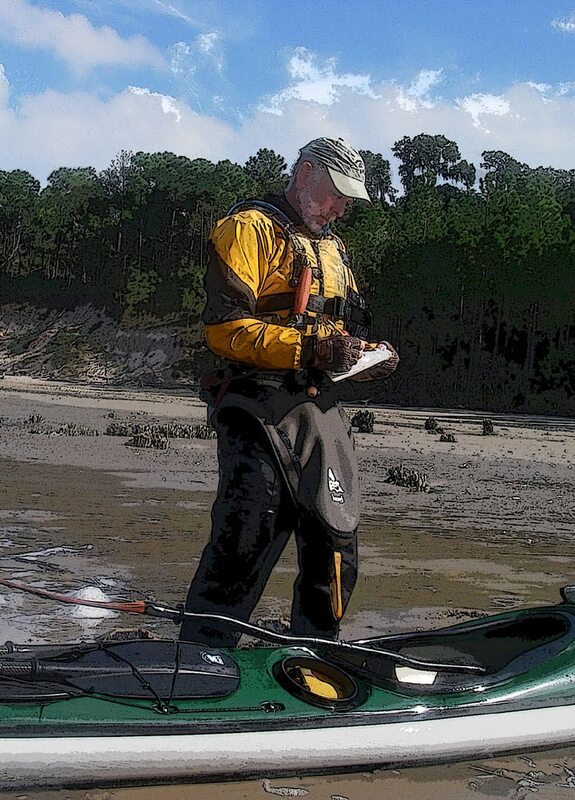 We have an unscheduled 'on water' practical navigation class this coming Sunday. There are a three spaces available. Class runs from 9am until about 2pm. Recommended skill level 2 and above. ECCKF Coming Soon. Great Sponge Offer. 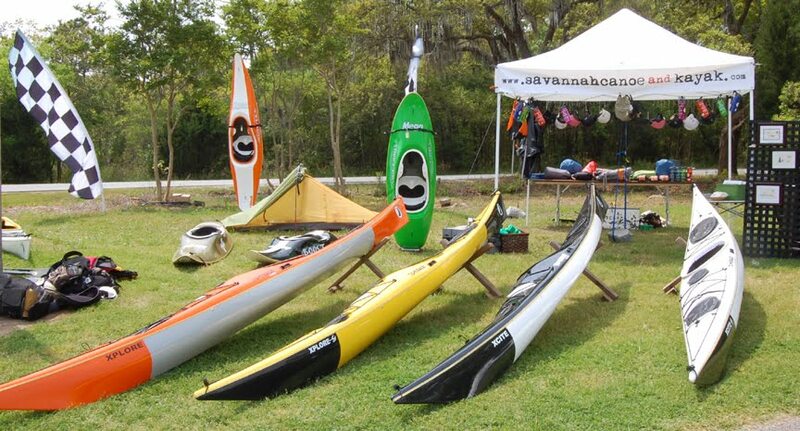 We will be off to the the East Coast Canoe & Kayak Festival at James Island County Park the weekend after next. This is a great place to come and bugger about in all manner of paddle craft, including small sail rigs, Outrigger Canoes, Stand Up Fish on Tops, and of course a slough of kayaks. 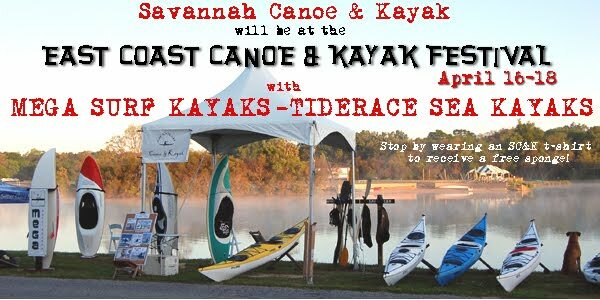 We will be there exclusively with Mega and Tiderace as well as some nifty kayak arts and crafts. If you swing by our tent wearing a Savannah Canoe T shirt we'll give you an awesome sponge for your bilge and a cuppa tea. How lovely. Georgia on Your Mind for Spring Break. If you a looking for a last minute spring fling you can still make last-minute reservations at Georgia State Park lodges. All a families need do is grab the kids, jump in the car and drive just a bit to get to a beautiful Georgia State Park lodge that has the same amenities as a nice hotel. Holiday rates start at $69 per room. Georgia State Park lodges offer great restaurants and comfy rooms by lakes, golf courses, waterfalls and mountains. People who want to make quick vacation plans can hike, bike, canoe, swim, fish, camp, attend guided nature hikes, play tennis and volleyball, or do what ever you like. State lodges can be found in North Georgia at Amicalola Falls in Dawsonville, Red Top Mountain in Cartersville, and Unicoi in Helen, as well as in South Georgia at George T. Bagby in Ft. Gaines and Little Ocmulgee in Helena. Discounted rates are good through April 29. People can make lodge reservations by calling 800-864-7275 or on the Web site. 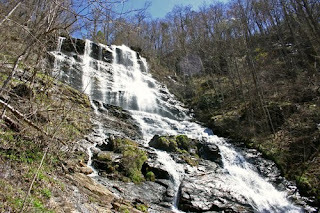 Details can be found at http://www.GeorgiaStateParks.org/springbreak. This is an infomercial on behalf of Georgia State Parks. Our meeting was called to order by our chapter chair Shelley Merrick. Minutes from our February 15, 2010 meeting were approved and seconded. Treasurer’s Report – Joe Richardson reports that we have a balance of $2,187.81 in our account. Storm Water Bird and Beach Water Quality - Joe Richardson states that we have finished 3 of 8 studies to date. Joe will be looking at new dates for some time in mid April for our next study. We will send out an email reminder for potential volunteers for the next study! Letter to Representative Jack Kingston Col. Ed Kertis- Joe Richardson drafted a letter to Col. Kertis and the Corp of Engineers regarding the next dredging of Tybee Beach. The letter describes the ability to enhance the beach for improved wave quality while re-nourishing the beach for shore protection. The next beach re-nourishment will be almost six years away, but our local chapter felt that it would be a wise idea to get our hopes and views on record with the Corp or Engineers. Ed also suggested that we send a copy of the letter to Congressman Jack Kingston. Rep. Kingston replied to Shelley regarding our letter and will be in contact with our local chapter regarding future re-nourishment. Beach Signs - Patrick Carver has been working with Mayor Jason Buelterman of Tybee Island regarding the signs that Surfrider would like put up at the beach. Warning signs and Surf Etiquette signs will possibly be placed at strategic locations at both the north end and south end of the beach. We are not sure that Tybee will finance the cost of these signs, so Jim Stephens has offered to host some sort of fundraiser at his Underground Boardworks Surf Shop if needed. Subcommittee for the signs is comprised of Lindsey Paragon, Cindy Wisner and Patrick Carver. Tybee Beach Cleanups- Tybee Beautification Association reminds us they have beach cleanups scheduled for May 1st, July 5th and September 18th. I’m sure they’d love to have some help if you are available. International Surf Day – International Surf Day is Sunday, June 20th this year. Shelley and Patrick are our contacts this year, so if you have a great idea for ISD or wish to volunteer and hang our on the beach with the chapter that day, just give them a call or send them an email. Joe Richardson has secured all the necessary permits. Our chapter will hold it’s Water Day festivities on June 19th. 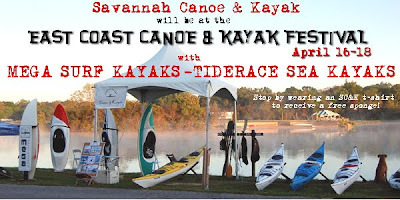 We will also have a Sunday event at Huckapoos on Tybee – possibly a movie night and BBQ that evening. Joe Richardson has rounded up a great group of sponsors for his years event – High Tide Surf Shop, Underground Boardworks Surfshop, Yoga with Christine, North Island Surf and Kayak, Photography by Joey Wilson, Coastal Enviromental Analysis, Tybee Island YMCA, Tybee Island Marine Science Center and Eastern Surfing Association Georgia District. Tybee Beach Bum Parade – Patrick Carver is still looking into contacting the committee in charge of the Beach Bum Parade for possible inclusion. Earth Day – Our local chapter will have a booth in Forsyth Park this year on April 17, 2010 for Earth Day. If you care to volunteer, please contact us. Green Drinks – A few of our local representatives attended the last meeting of Green Drinks ( http://www.greendrinkssavannah.moonfruit.com/ ) ,a social networking group initiated by local non-profits and businesses to engage community members in an informal setting. We are told that there was much interest in our local chapter. Savannah River News – In the wake of the recent spill of over 6,500 gallons of diesel fuel into the Savannah River, our minds are squarely focused on the use and maintanence of the river. The Savannah Harbor Expansion Project ( www.sav-harbor.com ) states that the next Stakeholders Evaluation Meeting will be May 11, 2010 from 9:00AM to 1:00PM at the Mighty Eight Air Force Museum in Pooler, GA.
St. Simon’s Chapter Meeting – Shelley suggested that we might hold a chapter meeting on St. Simons in conjunction with Windfest on June 26, 2010. ( http://twitter.com/HighTidesurf ) for daily photos of the surf. Next Meeting - Our next local Chapter meeting will be April 19, 2010 at Tubby’s in Thunderbolt – at 7:00PM. PS- One more note, the latest edition of Making Waves does have a short article about our bird study at Tybee (so now we are getting some international publicity). Written by Nicholas Sparks, The Last Song is a drama centered on a rebellious girl who is sent to a Southern beach town for the summer to stay with her father. The setting, originally North Carolina like the novel, changed to Georgia after states campaigned for months to host production. The movie was almost filmed in Traverse City, Michigan. Upon beginning production in Tybee Island, Georgia and nearby Savannah, The Last Song became the first movie to be shot and set in Tybee Island that does not feature sea kayaking. Filming lasted from June 15 to August 18, 2009 with much of it occurring on the island's beach and pier. 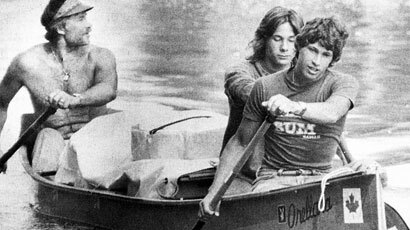 The legendary canoeist suffered burns and smoke inhalation as he fought the blaze in his home near Winnipeg, Manitoba. Though later hospitalized in critical but stable condition, a neighbor and passerby had to restrain Starkell from going back into the burning house to fight the fire. Starkell, 77, is best known for his 12,000-mile canoe journey from his native Winnipeg to Belem, Brazil. From Canoe & Kayak Mag. This summer, join fellow paddling enthusiasts for Paddle Georgia, a week-long, 82-mile canoe/kayak adventure on North Georgia’s Broad and Savannah rivers from Franklin Springs to Augusta and experience Georgia as you never have before. We also have registartion forms here. Drop us a line and we'll mail you one.